Innerloc’s Deep Slice features patented tapers to precisely align broadhead rotation to your “Deep Six” carbon arrows. 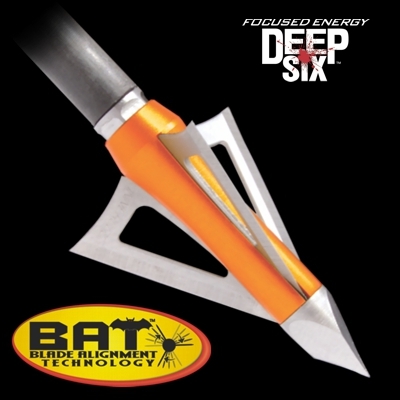 Fast and easy alignment… the perfect tuning solution for Deep Six arrows. Slice™ models feature patented matching tapers on the front of the broadhead base and inside of the broadhead body that join for a precise fit and alignment. 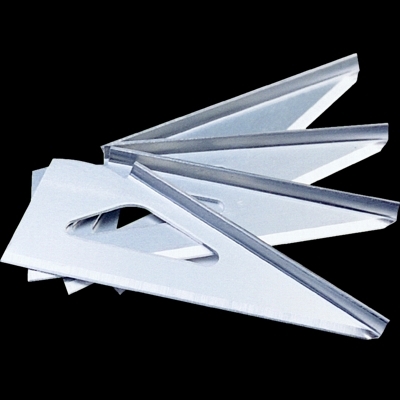 The tip passes through the body securing the blades the same as earlier Center Locking System™ broadheads (below). Only now the tip(#1) threads into the front of the base (#2). This results in a new Blade Alignment Technology™ because you can simply align the blade assembly prior to tightening the tip. 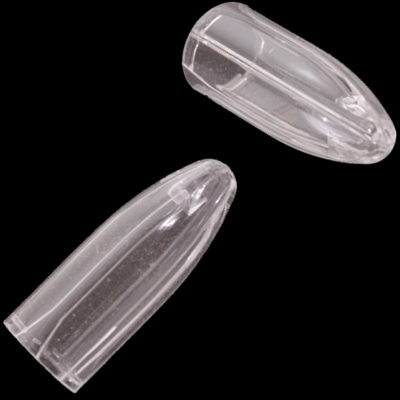 Two way compression happens as the tip is tighten. The blades are secured into the assembly and the mating tapers of the base and body(#3) are also tightened. This locks your newly set blade orientation. 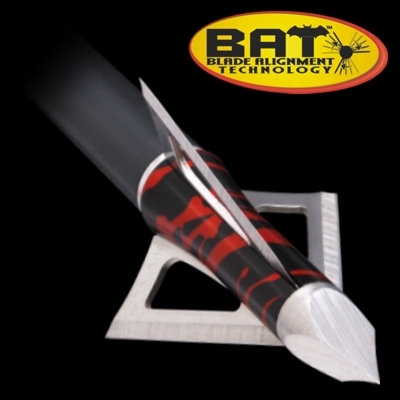 Flats machined into the base allow the use of a wrench to remove from an arrow without damage to the taper. Our quickest tuning broadheads yet!